This article presents a case study focused on the experiences of Rafael, a resilient young musician. The research is based on 180 records made through interviews, focus groups, observations and documentary collection, involving 190 informants. The data analysis shows that social systems create subordinated and stigmatised conditions of experience for people with disabilities which lead to social exclusion and reification. This understanding of disability as oppression (which is the ‘coffin of the dead’) can be combated by means of education, understood as resistance to inequality. This can be effected by questioning the social order and power relationships, thus striving to produce the possibility of being a subject. In this way Rafael has been able to construct his identity relatively autonomously, challenging social mandates that led him to exclusion and denied his existence as a subject. In his own words: ‘I open the coffin and here I am’. CALDERÓN ALMENDROS, I. y CALDERÓN ALMENDROS, R. (2016). ‘I open the coffin and here I am.’ Disability as oppression and education as liberation in the construction of personal identity. 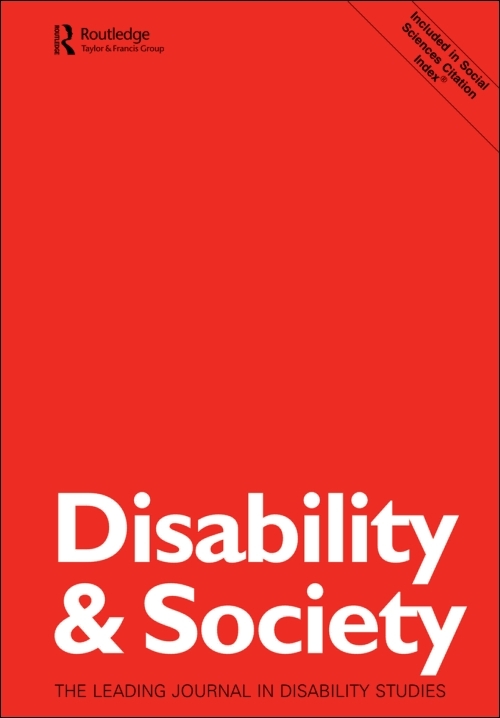 Disability & Society, 31(1), 100-115.